2017-18 was the first academic year in which E3NE ran Ethics and Economics Challenge at The Founders Academy, where our discussion leader, Gardner Goldsmith, also teaches a regular class. Eight students attended the course. In the speech competition, the judges — Gardner Goldsmith, Patty Humphrey, and Jason Sorens — decided to award two first-place, $500 scholarships and one second-place, $250 scholarship. 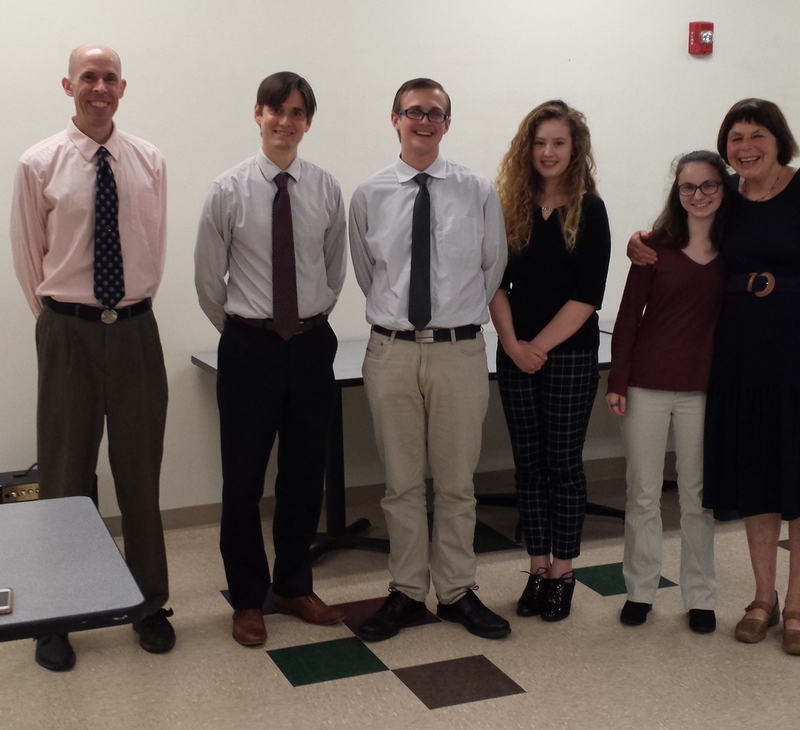 The first-place winners were Liam Childers and Rachel Sanville, and the second-place winner was Catherine Hammer. Congratulations to all, and a special thanks to Patty Humphrey for underwriting much of the cost of the scholarships! Stay tuned for copies of the winning speeches.